Around noon on Nov. 9 of last year, a black Chevy Suburban pulled up to a New Hampshire liquor store. The driver, a 46-year-old Queens, New York, resident named Juncheng Chen, bought some booze, then headed off to another liquor store to make another purchase. 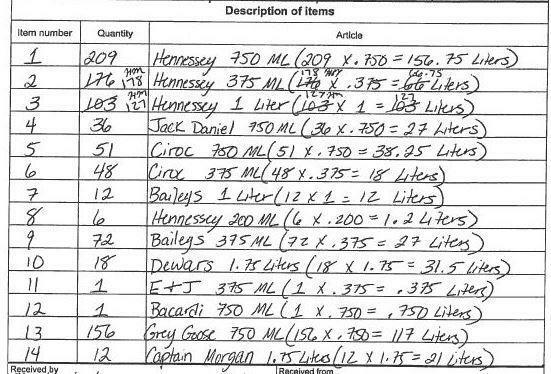 In total, Chen bought liquor at six different New Hampshire stores that afternoon. Chen didn’t know it, but he was being watched. A criminal investigator with the New York State Department of Taxation and Finance was trailing him from store to store, and then southbound on the highway. When Chen crossed the border back into New York, the investigator contacted a state trooper. 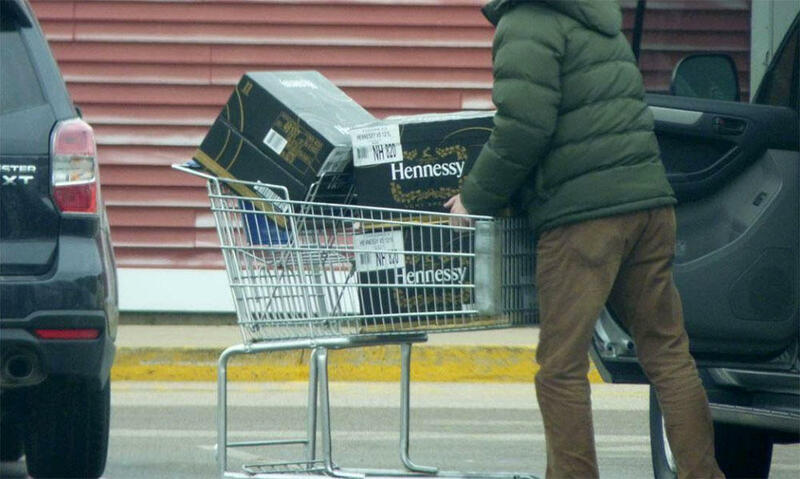 Chen was pulled over with 757 liters of alcohol in his trunk, including more than 500 bottles of Hennessy cognac. He was arrested on felony charges for violating New York state law regarding importation of liquor. New Hampshire’s state-run, tax-free liquor stores draw in customers from across the Northeast. It’s been this way for decades. And for decades, law enforcement from other states have been keenly aware of these purchases. But a recent wave of arrests aimed at alleged bootleggers like Chen, who stock up in the Granite State, illustrates the cross-border tension over this controversial issue. Chen’s attorney, Mingli Chen (no relation), says his client has never been previously charged with bootlegging. He also denies that he was going to resell the liquor. “He was buying the alcohol for personal use, for parties at home or parties somewhere,” says Chen. Officials from the New York State Department of Taxation declined to answer questions about this case, or any of their activities in New Hampshire. That silence makes it hard to know how frequently they’re conducting these types of stings. But what’s clear is this: Other states know New Hampshire is a source of alcohol for bootleggers, and they’re willing to cross state borders to try to stop it. “From our perspective, this is organized criminal activity,” says Gary Kessler, deputy commissioner at the Vermont Department of Liquor Control. 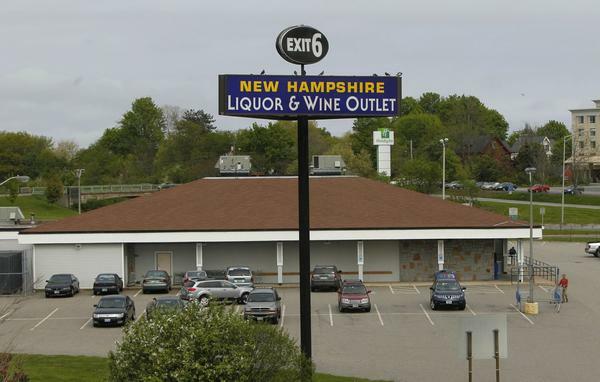 Along with New York, court records show Kessler’s agency has also sent investigators to stake out New Hampshire liquor store parking lots in recent months, including in Peterborough and Keene. When the customers crossed back into Vermont with trucks full of booze, they were arrested for violating that state’s liquor laws. These operations by others states are happening without the assistance or knowledge of New Hampshire officials. The New Hampshire Liquor Commission, which oversees 79 retail stores statewide, says it wasn’t notified. Neither was the attorney general’s office or New Hampshire State Police. Cross-border enforcement by these other states comes at an awkward time for the liquor commission. Earlier this year, Executive Councilor Andru Volinsky called for an investigation into how the state agency handles large all-cash transactions. Volinsky says he witnessed a New York resident divide a bulk purchase into smaller transactions, which could be a violation of federal financial laws. In recent weeks, the IRS has also been asking questions in New Hampshire about bootleggers. Volinsky says the lack of communication between the states raises additional concerns. 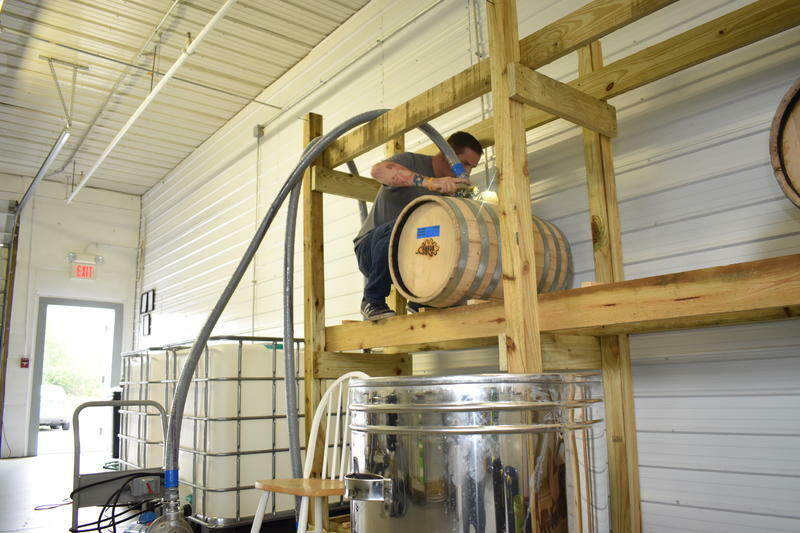 Ethics aside, liquor is big business in New Hampshire. The state-run stores are a cash cow today, and have been going back decades. And other states have been angry about their residents making illegal purchases for, apparently, just as long. 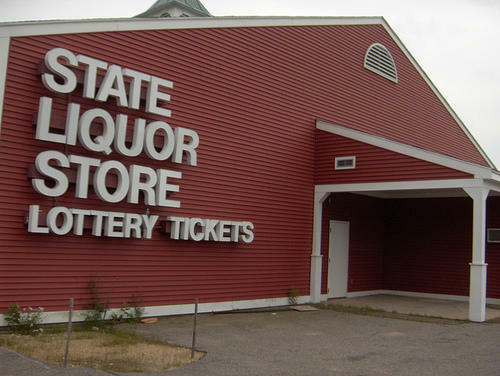 Back in the 1970s, Massachusetts and Connecticut sent officials to stake out liquor store parking lots. According to Tom Rath, who was attorney general at the time, this didn’t sit well with then-Gov. Mel Thompson. Rath says the governor ordered New Hampshire State Police to shoo away the tax collectors. “It got pretty feisty, and Governor Thompson was never one to back away from an issue like that, so it was an interesting time,” Rath says. He adds the big difference between then and now is the size of the purchases. These aren’t just folks picking up a few bottles of scotch. These bootleggers are moving huge quantities, and they’re likely reselling it. Outside of a Manchester liquor store, I recently met someone who appeared to have an insider’s perspective on the subject: A gentleman who declined to give his name was loading case after case of Hennessy into his vehicle. When approached, he said that the recent flurry of attention on bootleggers would eventually die down. “I’m gonna tell you something. This is going to be a story, a hot story, for a minute. And that’s it,” he says. Not interested in talking further, he turned away and continued loading cognac into his white Chevy van with New York plates. This story comes from the New England News Collaborative, and was first published by New Hampshire Public Radio. 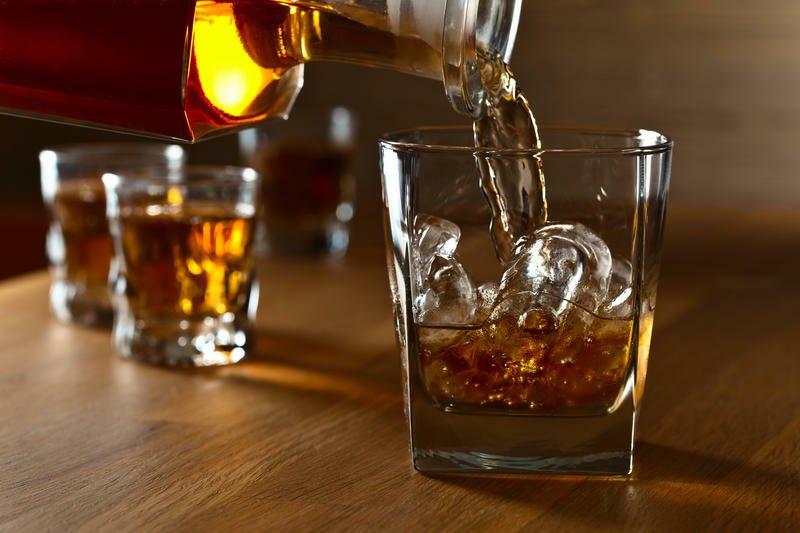 In New England, New Hampshire is well known for tax-free liquor sales, which makes the Granite State a popular destination for out-of-staters looking to stock up on alcohol. Prohibition might have been repealed in 1933, but modern-day bootleggers are still sidestepping state liquor laws. Now Vermont officials want heavier penalties for people trafficking booze from neighboring New Hampshire.